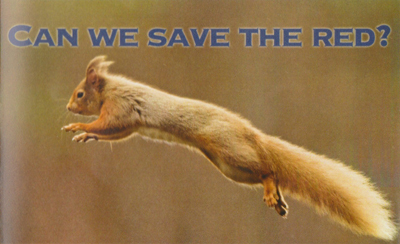 We are very fond of our native red squirrel, part of our culture, part of our countryside. But how long will they be with us? Much is working against them, including the introduced tougher non-native grey squirrel, which carries a disease that kills reds but not the greys themselves. And there’s traffic, cats, lack of suitable woodland. On the other hand, there is much working for them; dedicated volunteers, biologists, in fact many organised groups all over the country trying hard to keep the red squirrel and reduce the greys, so unfortunately introduced from North America in 1876. There are signs of success in the fight to save the reds but it is a controversial subject that raises issues about our countryside and our attitudes to wildlife. The question for the red squirrel is: can we help it make a comeback? If so, how? This unique film travels the length of Britain through one year to assess progress and considers the future. “I have been fortunate enough to travel widely in the past with David Attenborough but now I am looking closer to home. It seemed to me that our endangered red squirrel, so widely scattered and so ably supported by dedicated people, needs all the help it can get. The problem of course is the introduced grey squirrel, well equipped to conquer and mistakenly brought in by man – not really the grey squirrel’s fault. Please 'Like' the brand new Facebook Page!! 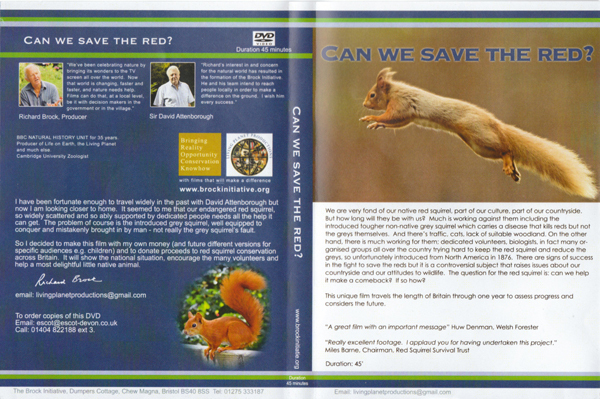 The film will be shown at the National and International Perspectives on Red Squirrel Conservation - 2013 National Conference on Friday the 19th of April 2013, where Richard will be present to discuss. See our Films That Make a Difference project.